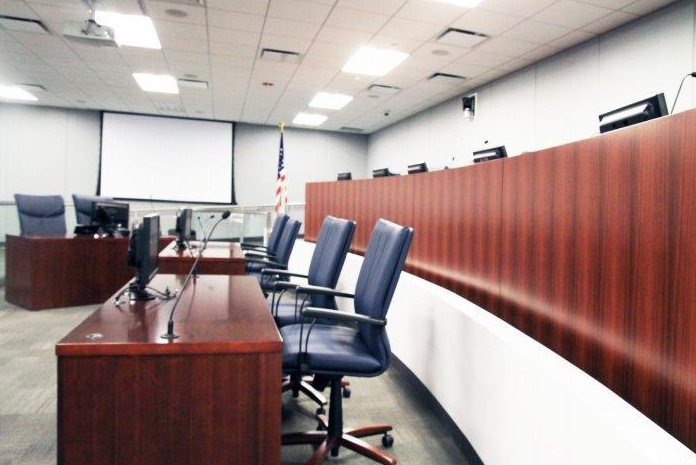 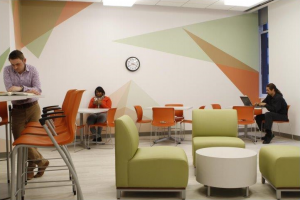 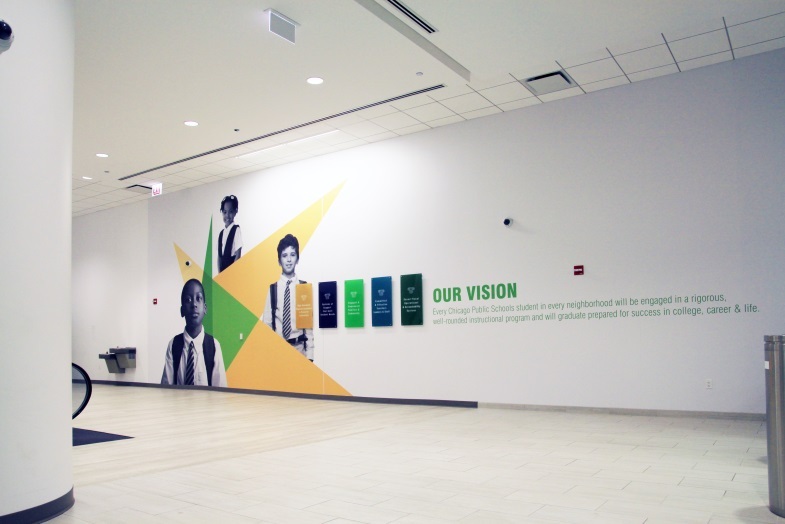 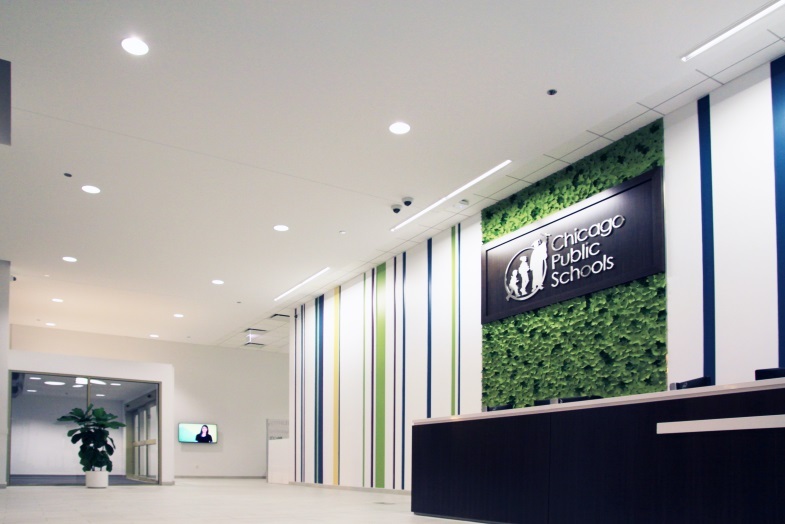 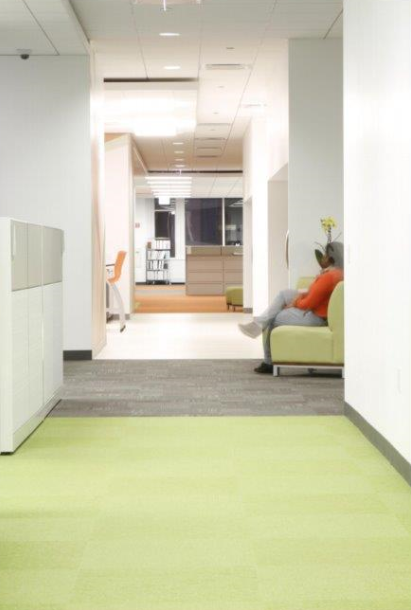 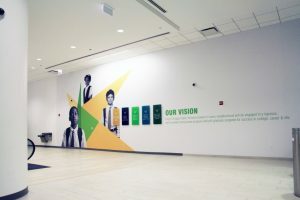 Reed was selected by the Board of Education for the City of Chicago (Chicago Public Schools) to execute the project within an expedited 16 week timeframe. 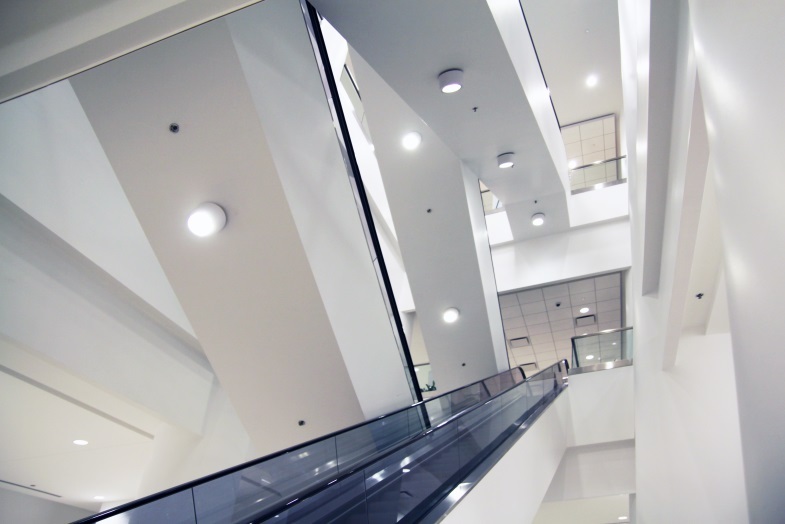 The project included work on the lower level, 2nd, 3rd and 9th floors and portions of the ground floor. 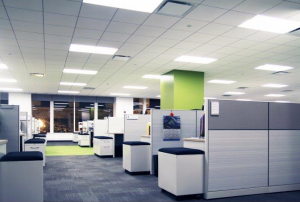 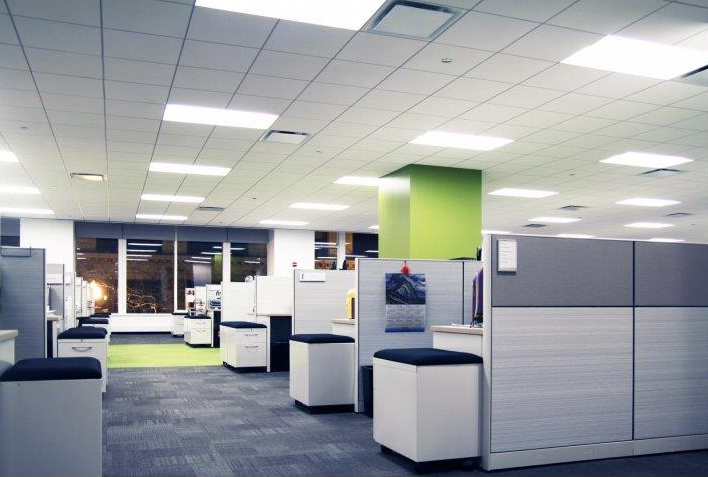 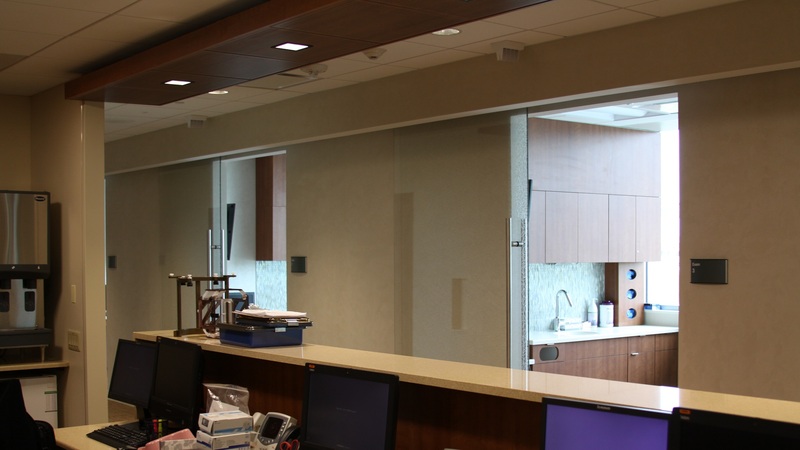 The existing department store space was demolished to make room for an updated lobby, conference rooms and open work space, private offices and state-of-the-art boardroom with broadcast quality A/V equipment. 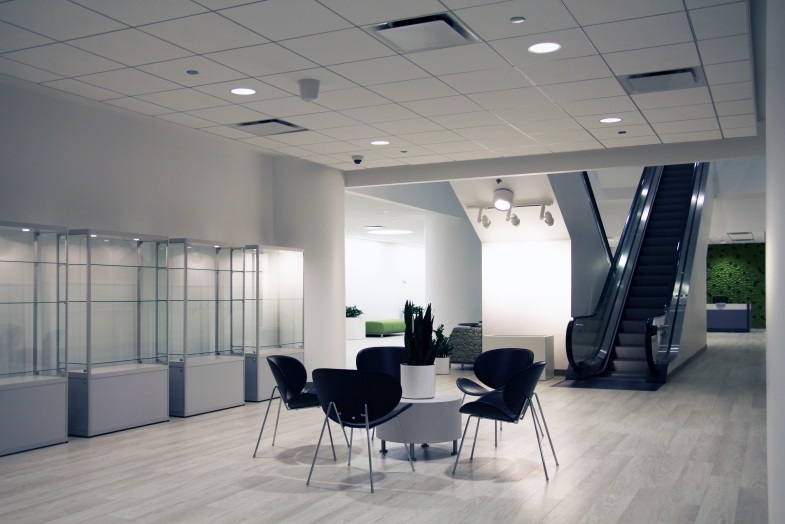 Modern design features included 10′ high ceilings and a four-story atrium with glass set in an aluminum frame system. 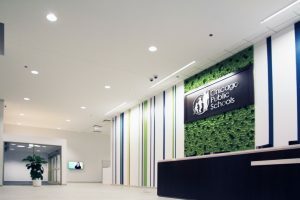 Also unique to the space is a wall element featuring laser cut FilzFelt leaves in the main lobby and escalator lobbies for each floor, as well as hung graphic wall coverings throughout.